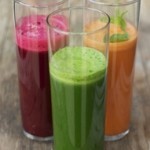 Juicing 101 | Angela M.D. While browsing Facebook I came across a college sorority sister that has started a juice detox this week to start of the New Year. She bought a pre-made 3 day juice cleanse from Le Nectar –a new juicing bar here in town located on the Northside next to Tulip Noir. There are several different spots here in town where you can purchase fresh juice including Georgetown Market, EarthFare, and Natural Born Juicers just to name a few. However I am incredibly poor after the holiday season considering my children are now of the age where gifts require a more significant monetary investment than in the early years. So I am now inspired to dust off my juicer that has been hibernating during the holidays and get back on board. 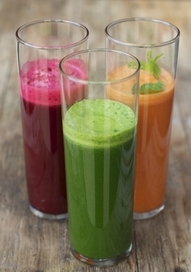 A juicer is a bit of investment at first, however you will save a lot of money in the long run doing your own juicing . I came across a colleague’s article on the different types of juicers that was extremely informative and helpful and wanted to share that with you . Here’s the link that will explain the different types of juicers available along with the pros and cons. Be sure to check out his BLOG as well.